Participants that enrol in WSIB approved first aid courses with Ottawa First Aid will learn the latest rescue techniques to manage heart attacks, unconscious victims, choking casualties, breathing emergencies, angina, stroke, anapylaxis, shock, diabetic emergencies, seizures, poisonings and many more. Typical participants include doctors, teachers, students, pharmacists, CBSA workers, food handlers, government workers, fire fighters, police officers, security guards and managers. Popular courses provided through Ottawa First Aid include standard, emergency and standard childcare first aid. All basic first aid courses include cardiopulmonary resuscitation (CPR) and automated external defibrillator (AED) training. Learn effective and life saving rescue techniques by enrolling in first aid and CPR training courses in Ottawa today. A full list of offered classes by Ottawa First Aid can be found on their website here. Registration is available at anytime via the website or participants may also call in or email to register. Contact information and registration form is provided below. Prospective trainees can enrol in a CPR training course on the Ottawa First Aid website. An on-line registration form is available through the link above. Trainees are also encouraged to complete their enrolment via e-mail, telephone call, and walk-ins during business hours in any of the training centers in Ottawa. More contact information and course location information is available on the Ottawa First Aid website. 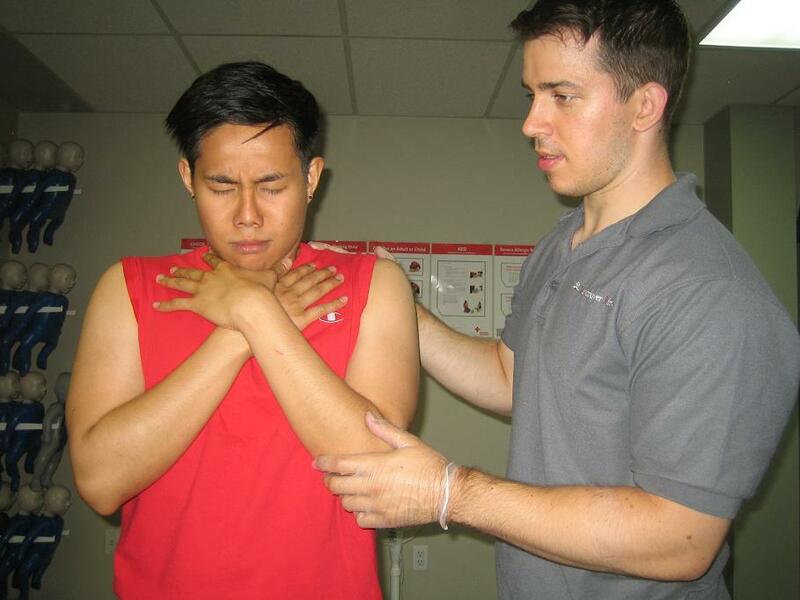 Ottawa First Aid offers private first aid classes as well. Big groups of trainees, companies, and even individuals who request a separate training class with a schedule at their discretion can opt to sign up for a private course. Ottawa First Aid offers trainees the most affordable enrolment fees in the area. Course rates are inclusive of taxes, certification fees, and training manuals and equipment. Trainees don’t have to worry about additional expenses with Ottawa First Aid. Training costs vary starting from 50 dollars to 135 dollars, depending on the level of the CPR training course. If a trainee chooses to drop out of his or her enrolled course, a full refund is given, provided a 72-hour notice is done beforehand. All courses include AED training and certification. Cardiovascular diseases are one of the leading killers of Canadian. One of the most frequent circulatory emergencies is heart attacks or myocardial infarctions (MIs). MIs happen when there is a block or bleed in one of the arteries supplying blood to the heart, causing poor flow of blood and oxygen to the heart tissue. Without oxygen, the heart tissue start to die. MIs are irreversible and a victim must be brought to the hospital upon feeling any of the symptoms below. To learn more about circulatory emergencies such as heart attacks, angina, strokes, and transient ischemic attacks register for a St Mark James course with Ottawa First Aid.